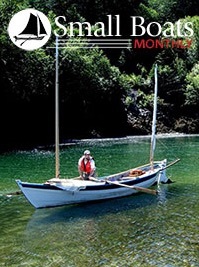 Small Boats Monthly – child to the broader Wooden Boat Magazine – is an all-digital, issue-based publication of three years. It features the history, designs, and denizens of the world of small hobby craft, as well as product reviews and events. Designers, builders, sailors, and adventurers can all find articles to advise and delight. But despite the richness of its content, as of early 2017, it had gained exactly zero organic subscriptions. The layout, based in ZEEN101’s IssueM;s plugin is beautiful and easy to navigate. 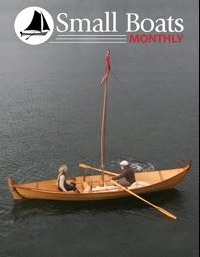 In addition to the main articles of each issue, the Small Boats Monthly site showcases a classified section and archives of past issues. The wealth of content, however, was not enough to gain the readership it deserved. Hidden behind a hard paywall, it was nigh impossible to find by search. The articles couldn’t be read without a subscription. Nor could they be shared on social media. No one was finding the content on their own and, without an idea of what they were missing, few people were purchasing subscriptions. That changed with the installation of Leaky Paywall in the spring of 2017. Leaky Paywall allowed readers and search engines alike to taste each issue without purchasing a subscription. With Leaky Paywall, readers can read one full article (or more, depending on the setting chosen by the publisher) of their choosing before triggering the need to subscribe. They can also share that full article over a thousand times on social media, allowing for the all-important word-of-mouth advertising. Moreover, even on the most minimal setting, the paywall allows the bots that power the major search engines to access all of Small Boat Monthly’s content and assess its value. Assured of the depth and originality of the articles, the search engines allow Small Boat Monthly’s content to display in its results pages for all to see. Between the value of the content and the ease of its access, Small Boats Monthly is truly sea-worthy. Ready to take on the deeper waters of digital publishing? Learn more about publishing live web issues with IssueM and find out what Leaky Paywall can do for you.